The Planned Parenthood shooting in Colorado by Robert Dear is the most recent national example where a criminal defendant has chosen to represent himself. I think it’s safe to say that the legal community, including Judges, strongly caution people charged with crimes from proceeding Pro Se. Our legal system is not generally set up for self representation in criminal cases. This is why, for example, you don’t see very many criminal defendants representing themselves in Court. There are many good reasons to choose to have an attorney represent you on your criminal charges. This first reason should be fairly obvious, especially if you have been charged with a Felony. The stress of the alleged crime and events that followed shortly after can be cloud your memory. For example, if you are arrested for a violent crime, the events leading up to the crime can often be a blur. This is because stress affects our ability to form memories and remember what happened. Due to a person’s involvement or alleged involvement, they will likely be very biased towards their own version of events. Robert Dear is accused of shooting people at a Planned Parenthood in Colorado. Undoubtedly, chaos and panic ensued when he opened fire. The stress, whether apparent to him or not at the time, would have had a great deal of negative physiological effects. If he chooses to go to a jury trial, Mr. Dear would place himself in the awkward position as both attorney and witness. Mr. Dear would have to ask questions of witnesses presented against him. Putting your best defense forward closely relates to #1. Putting the best defense forward requires someone to look at your case objectively, and not subjectively. Robert Dear would likely do a poor job representing himself because he is caught up in his own thoughts and his own mind about the incident. 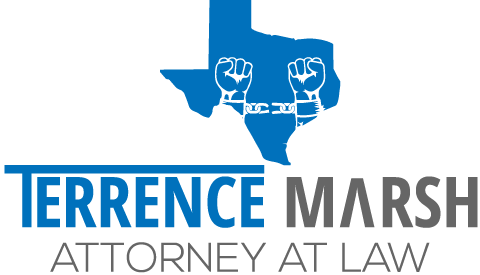 This creates a narrow focused approach to criminal defense. It can also create the serious likelihood that Robert Dear would not weigh other defense options available to him. Most people already assume that Mr. Dear has or had serious mental health issues when the Colorado Planned Parenthood shootings took place. Robert Dear’s mugshots from the Colorado Jail are enough for people to question his mental status alone. Whenever there is a question as to an individual’s “fitness” to stand trial, the Court usually orders a psychiatric evaluation. Mr. Dear would be no different. One of the bedrock legal ideas in our system is that we punish the guilty mind. Not only that, but Robert Dear must be able to understand the charges against him and participate in his own defense. If Mr. Dear is found to be incompetent, and unfit to stand trial, efforts need to be made to rehabilitate him. In our criminal justice system, the states and the Federal governments have rules of criminal procedure to follow. The normal role of a defense attorney during the trial is file requests with the Court to exclude or limit certain evidence, to “examine” witnesses in the format of question and answer for the jury, and to present a defense. If Robert Dear decides to represent himself, he would have to know a few things first. He would have to know what types of evidence to exclude or limit in the trial. Lastly, he would have to present his defense theory and make a closing argument to the jury.